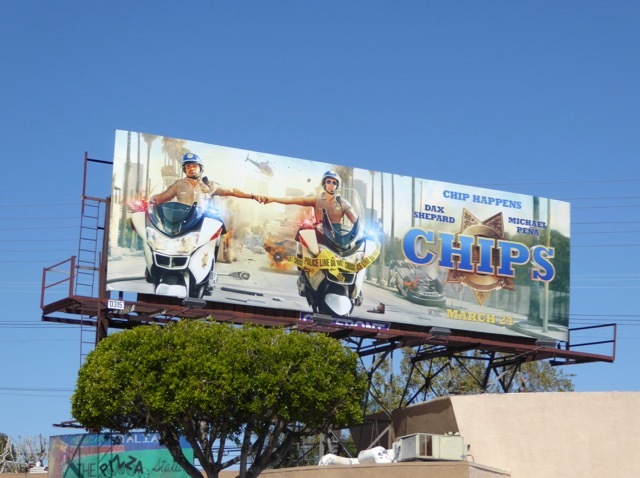 This March yet another popular TV show from the 70s and 80s gets the Hollywoodland treatment, with CHiPs speeding its way onto cinema screens. 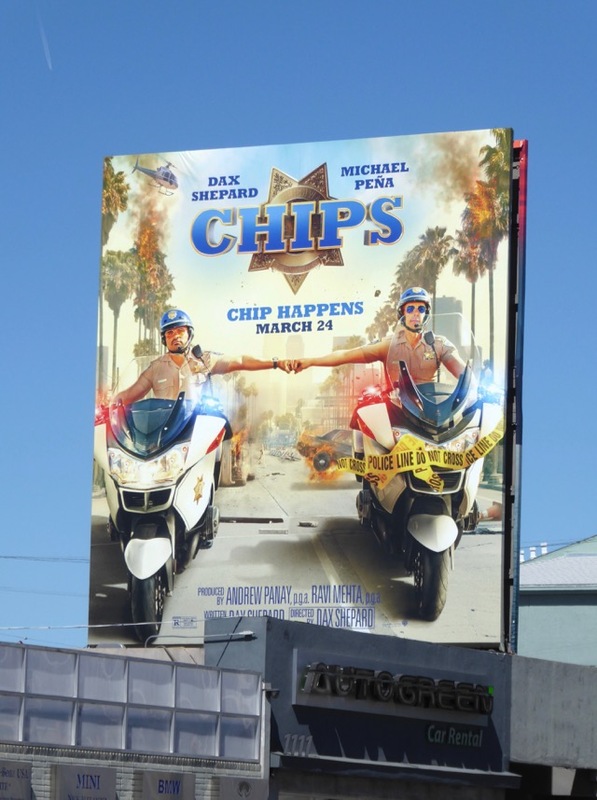 This time around Michael Pena and Dax Shepard are the motorcycle officers of the California Highway Patrol in the new cop buddy movie, which looks like a much more comedic outing than the series which lasted for six seasons from 1977 to 1983 (along with a 1998 reunion TV movie) and followed the tight-trousered adventures of Erik Estrada's 'Frank "Ponch" Poncherello' and Larry Wilcox's 'Jon Baker'. 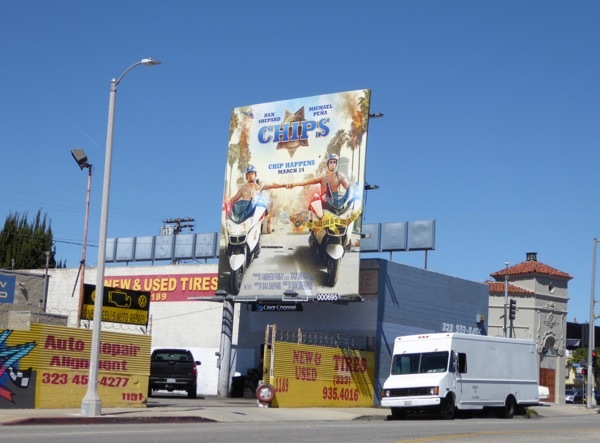 Why is it that most TV revivals end up as spoofs or farcical comedies in movie adaptations? 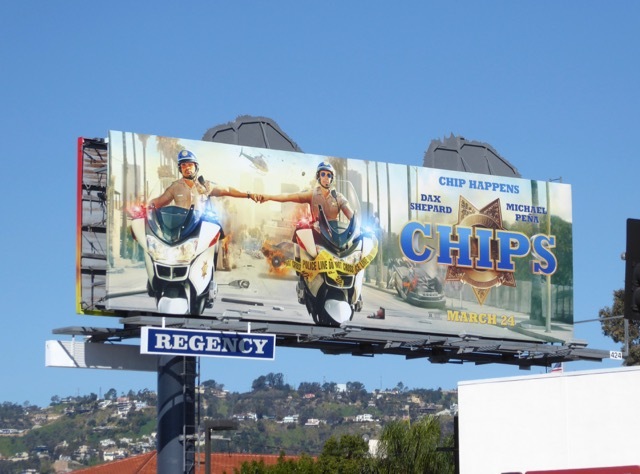 You just have to look at the likes of 2004's Starsky & Hutch, 2000's Charlie's Angels, 2005's Dukes of Hazzard and 2012's 21 Jump Street, to name but a few. 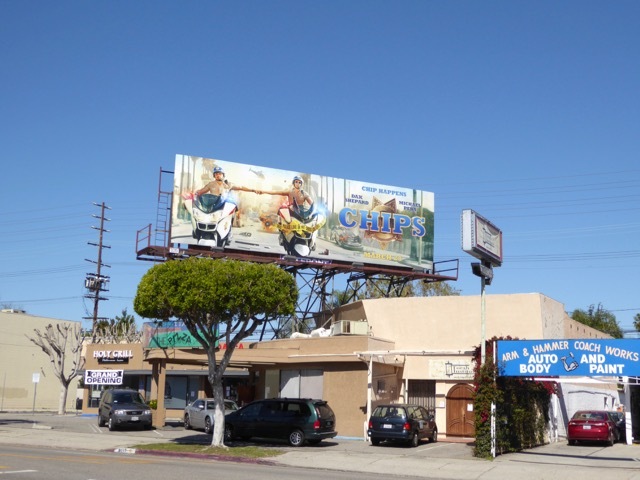 These explosive CHiPs movie billboards were snapped along L.A.'s Melrose Avenue, Pico Boulevard, La Brea Avenue and La Cienega Boulevard from February 28 to March 6, 2017. 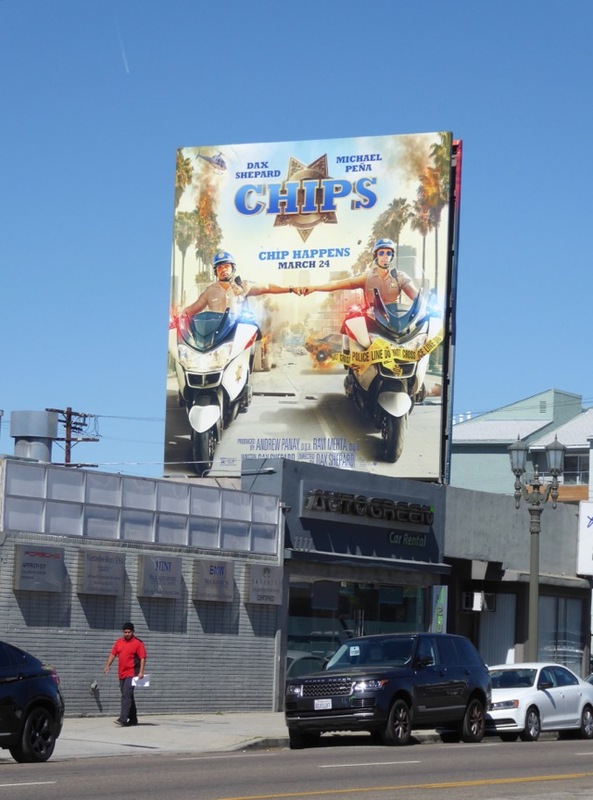 For more fun cop buddy movies make sure you also check out these Let's Be Cops movie billboards, this Cop Out movie billboard, these Ride Along film franchise billboards and these movie billboards for The Heat. 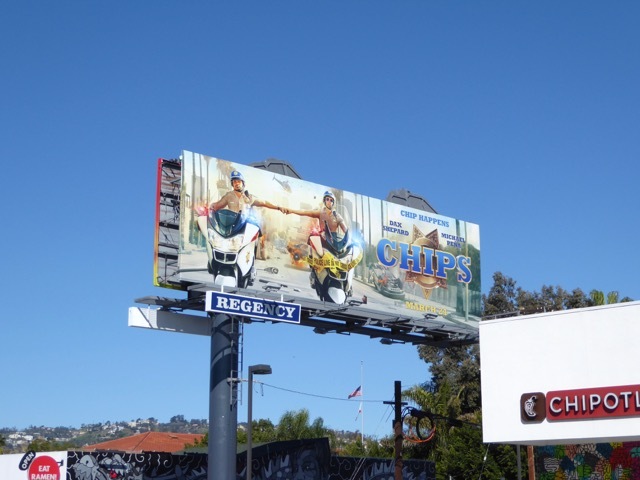 Only time will tell if this pair of troublemakers can live up to the nostalgic memory of the original series, or whether this was one franchise worth keeping safely locked up in the TV vaults.